Maybe Kenneth York should invite his neighbors over and pop open a few $200 bottles of his Cabernet Sauvignon to chill them out. Homeowners who live near the Hollywood sign are livid over York’s plan to build a two-story, 8,000-square-foot mansion, a 1,300-square-foot guest house, a pool, a tennis court and “wine caves” next to the sprawling vineyard he planted years ago above their homes. Residents complain that York — a Glendora ophthalmologist who planted six acres of grapes in 2001 —intends to build a third-of-a-mile-long road up a steep section of Mt. Lee and bulldoze a series of terraces, work that will cause years of dust and noise. Before he begins construction, however, York needs waivers from the city for the massive amount of grading he needs to do and construction of the roadway and numerous retaining walls. Though the winery is not widely known, Hollywood Classic Vineyard bills itself as boutique label and a throwback to the era when Los Angeles was a steady wine producer. There is no tasting room and visitors are not permitted to tour the vineyard, but the company’s website boasts that the yields from harvests produce superior wines. 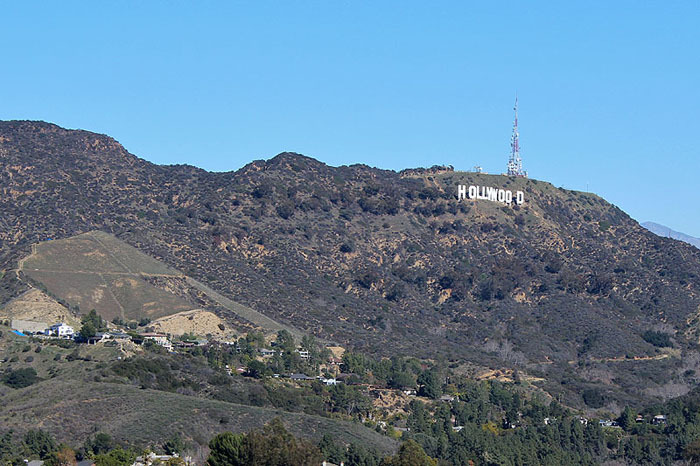 But to some who live beneath the Hollywood sign, the winemaker has failed the taste test when it comes to being a good neighbor. Workers tending the grapes work Sundays, storage bins are parked along the street, and during harvest season, a noisy refrigerator truck sits outside York’s home, they complain. York did not respond to calls seeking comment about his construction plans or vineyard operation, but his attorney, Ellia Thompson, said neighbors and city officials have known about the plans for years. And his consultants have stressed to the city that the grading will create ample fill dirt for the roadway and for terraced building pads.